Adding a beautiful wall-mount fireplace to your home is easy; simply install the wall bracket (included) near an electrical outlet, plug it in and enjoy. 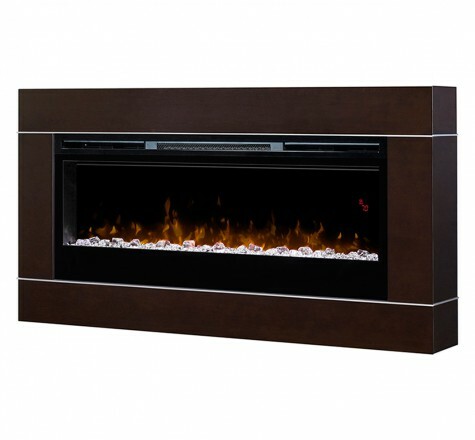 Some units also include a pedestal base allowing you to display the fireplace on a flat surface, such as a dresser and buffet table. 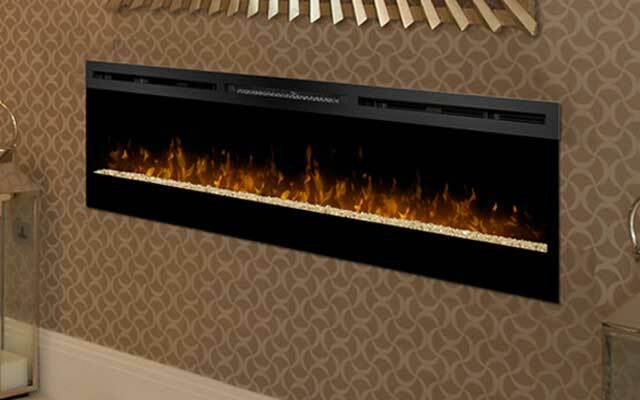 Our design experts have selected the perfect ember bed to complement each wall-mount fireplace. You’ll notice the various mediums that were used throughout our entire line-up, such as glass, sand, river rock, pebbles and drift wood. Multiple Sizes We know that wall space is at a premium in most homes, which is why we offer a variety of sizes. 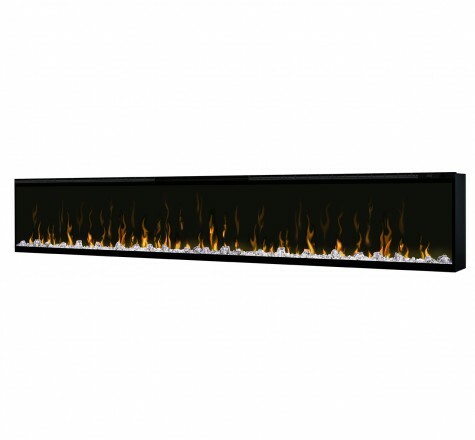 From vertical, linear, inset or beveled, choosing the perfect wall mount fireplace for your home has never been easier. It’s the depth, not the devil, that’s in the details of this stunning design. Inspired by trendy wall mirrors, this architecturally vivid fireplace uses concentric pyramids to cast intricate layers of shadow and light. 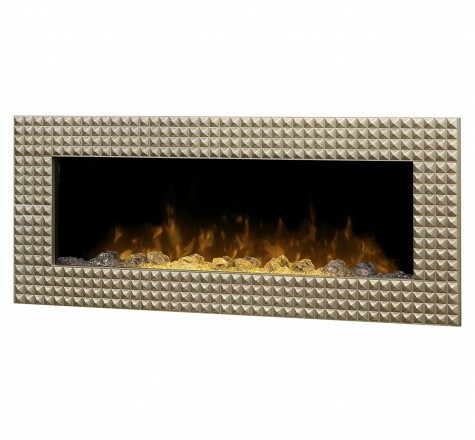 The dazzling ember bed, comprised of different sized chunks of acrylic ice, sparkles with refracted light and is enhanced only by the shimmery quality of the champagne finish trim. A truly eye-catching focal point in any room. 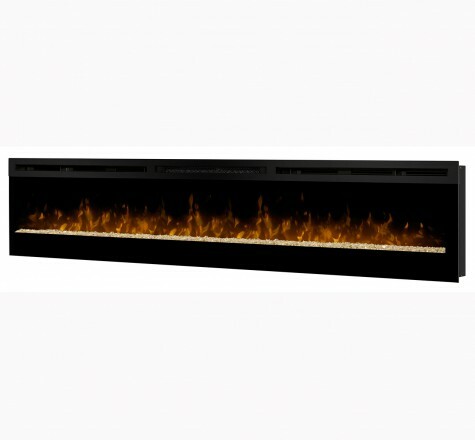 IgniteXL™ stands apart as more lifelike and visually stunning than any other electric fireplace. 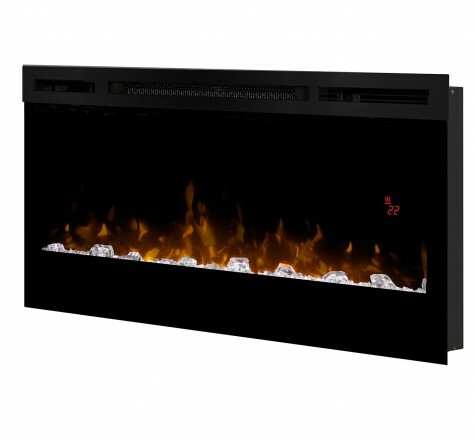 With new, patented flame technology, IgniteXL captures the charm and ambiance of a real fire. 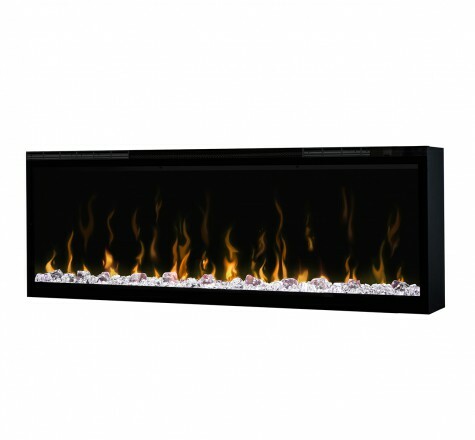 Edge-to-edge glass offers a flawless panoramic view of the dazzling flames from any angle. At only 5.5 inches deep, and with no chimney or gas line required, IgniteXL is ideal for home or high rise installations. 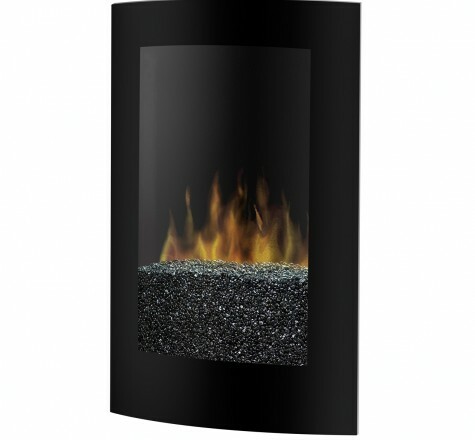 The tempered glass front and a seamless black finish design of the Convex wall mount fireplace, combine to create a contemporary look that adds style to any décor. Choose surface-mount, plug-in installation for the ultimate simplicity or recessed installation & hardwired capabilities for a sleek low-profile look. 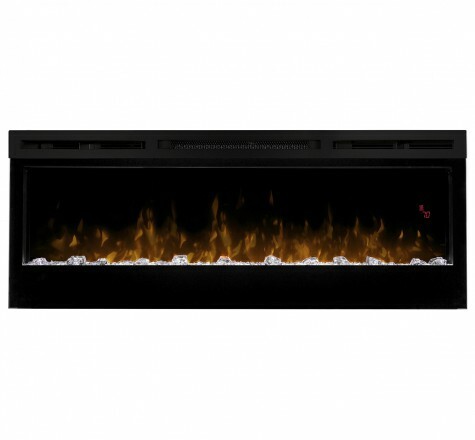 The black pebble flame bed can also be customized with any decorative fill. This product is sold as a surround for the Synergy Wall Mount Firebox and Prism Series 50″ Wall Mount. Firebox sold separately. 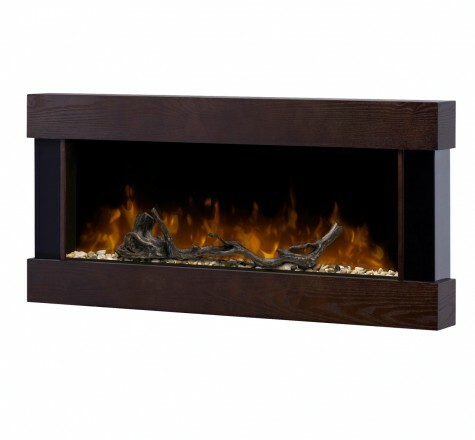 Rustic meets chic with the Chalet wall-mount fireplace. This unit offers a new drift wood and river rock interior that is eye-catching and beautiful, adding a calming element of nature to any room, style or décor. 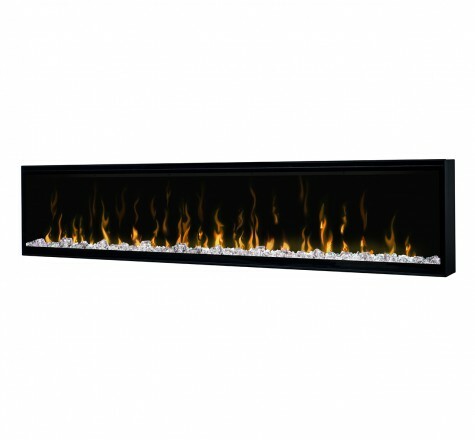 The patented LED flame flickers peacefully through the natural elements creating a soothing ambiance. The unique look is continued with two strong mocha-coloured horizontal components and high polished black metal end caps that allow this unit the versatility to live beautifully in traditional, contemporary and eclectic settings.